This double-breasted black blazer is in a silk and wool mix. It is a basket weave. The piece has a really wide lapel with a swelled edge. 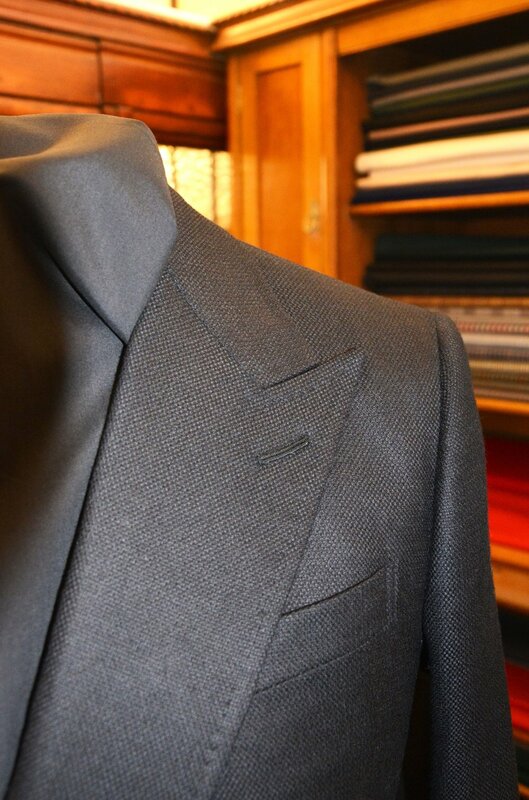 The lapel has quite a high peak so the top is quite close to the shoulder. I like this as it gives that longer lapel run. It is kind of Tom Ford-influenced but in general I tend to cut a peaked lapel a bit higher than tradition may dictate. The blazer would go nicely with grey trousers, I feel.